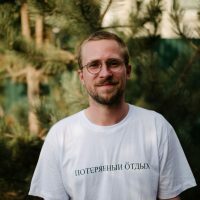 Aleksei Borisionok (Belarus) is an art critic, independent curator and researcher who lives and works in Minsk. He graduated from the Master’s program “Visual and Cultural Studies” at the European Humanities University in Vilnius, Lithuania and the Master’s program “Curating Art” at Stockholm University in Sweden. Aleksei curated exhibitions in the gallery Ў, the Literary Museum of Maxim Bahdanovich (Minsk, Belarus), Liljevachs Hubb and the Norberg Festival (Sweden), participated in the Kyiv School (Kyiv, Ukraine) and many other events. He co-founded Kalektar (http://kalektar.org) and “Work Hard, Play Hard” (http://workhardplay.pw). Aleksei’s texts were published in the magazines “Partisan”, “Moscow Art Magazine”, “Artaktivist”, “Hjärnstorm”, “Prastory” and others. 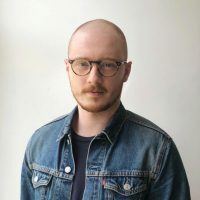 Daniel Udy (UK/Canada) is a Toronto-based writer whose work has appeared in ArtReview, The Times Literary Supplement, Jump Cut: A Review of Contemporary Media and TSQ: Transgender Studies Quarterly. He holds a BFA and MSt from the University of Oxford and a PhD from King’s College London, and has also held visiting positions at the Smithsonian National Museum of American History and Parsons School of Design. Daniel is currently working on his first book project, expanding his doctoral research into performance, mediation, and the HIV/AIDS epidemic. Josie Thaddeus-Johns (UK) is a writer and editor from London, based in Berlin since 2012. She studied Classics at the University of Oxford. Josie writes about culture – mostly art, though she also covers tech, music, film. She worked as Online and Associate Editor of Sleek from 2014-5. 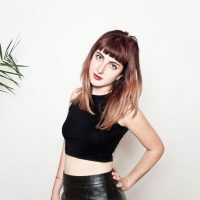 Currently she is a freelance writer and editor with bylines at the Guardian, Frieze, Artforum, The Economist, The White Review, and many more. Sean O’Toole (South Africa) is an author, critic, journalist and editor based in Cape Town. His cultural journalism and reviews have appeared in numerous publications, including Artforum, Frieze, Harvard Design Review, Mail & Guardian and Sunday Times (SA). Sean has contributed essays to numerous artist monographs and collections, including In Boksburg by David Goldblatt (2016) and Sol Plaatje’s Native Life in South Africa (2016). 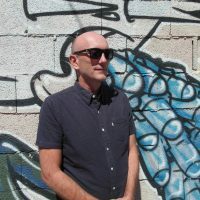 He is a founding editor of Cityscapes (2011–), a magazine for urban enquiry published by the African Centre for Cities at the University of Cape Town, and a past editor of the magazine Art South Africa (2004–10). Sean has adjudicated numerous awards, including The Creative Capital | Warhol Foundation Arts Writers Grant (2013 and 14), Frieze Writer’s Prize (2013) and Daimler Art Award (2003). He has published one book of fiction, The Marquis of Mooikloof and Other Stories (2006), which included a work awarded the 2006 HSBC/SA PEN Literary Award. Together with painter Zander Blom he founded the art, performance and music project The Bad Reviews.